Hoare Logic for Java in Isabelle/HOL, in special issue of CPE. in the Springer LNCS Vol. 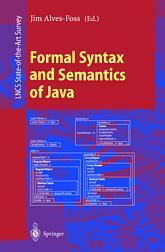 1523: Formal Syntax and Semantics of Java.